LONDON – With an Atlantic tailwind from May auctions in New York in which the two biggest auction houses sold more than $2 billion of art, eyes are focused on major sales beginning next week in London that may see prices soar again to dizzying heights. The big winner in New York was Picasso’s “Les femmes d’Alger (Version ‘O’)” which set the record at $179.4 million at Christie’s for the most expensive artwork ever sold. In three days of sales Christie’s also became the first auction house to sell more than $1 billion worth of art. Adding in Sotheby’s sales, the total topped $2 billion. “We’ve entered into a phase which I really think is a masterpiece market,” Christie’s Katharine Arnold, who is running the post-war and contemporary art evening sale on June 30, said. Featuring paintings by Francis Bacon, Yves Klein and Gerhard Richter, the 76 lots are estimated to fetch $132-187 million. Not to be outdone, Sotheby’s is heralding its July 1 evening sale as “London’s highest valued auction of contemporary art”. 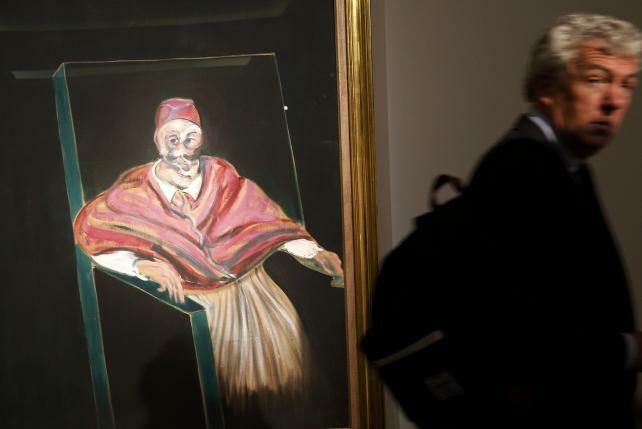 Pre-sale estimates for Sotheby’s 59 lots range from $230 million to $329 million and featured works include Bacon’s “Study for a Pope I”, valued at $40 million to $56 million, and a series of Andy Warhol “dollar” paintings. Combined with both houses offering effectively truckloads of paintings by Chagall, Picasso, Manet, Monet, Gauguin and even a rare Klimt at modern and impressionist art auctions kicking off at Christie’s on June 23, there is every chance total sales could top $1 billion, experts say. Arnold said the skyrocketing prices for fine art being fetched at auction were bringing more such works to market. “There are art works in private collections which are just starting to move, some objects that have been within families for 60-plus years,” she said. Among those are works by the Anglo-Irish painter Bacon, one of whose diptychs featuring his lover George Dyer and his muse Isabelle Rawsthorne, from 1967, is estimated at 8-12 million pounds at Christie’s. All told, Bacon could account for something like 15 percent or more of the value of all the paintings to be sold over the next two weeks, indicating how his stock has soared. “Bacon is an artist whose market has transformed radically even over the last 10 years,” Sotheby’s senior specialist in contemporary art, Oliver Barker, said. While the auction houses tend to see nothing but blue skies and higher prices, other art market observers suggest external factors, such as a Greek debt default, or a decision by central banks to hike interest rates that would make bonds a more attractive investment, could alter the playing field. “There’ve been low interest rates especially in the United States and that creates asset bubbles,” ArtReview magazine’s associate editor, Jonathan T.D. Neil, said.